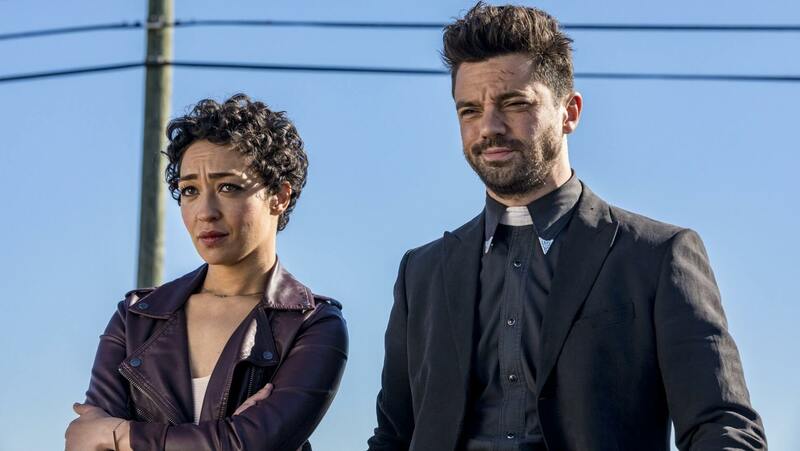 This Sunday, June 25th, Dominic Cooper returns as Jesse Custer in the season two premiere of Preacher on AMC. 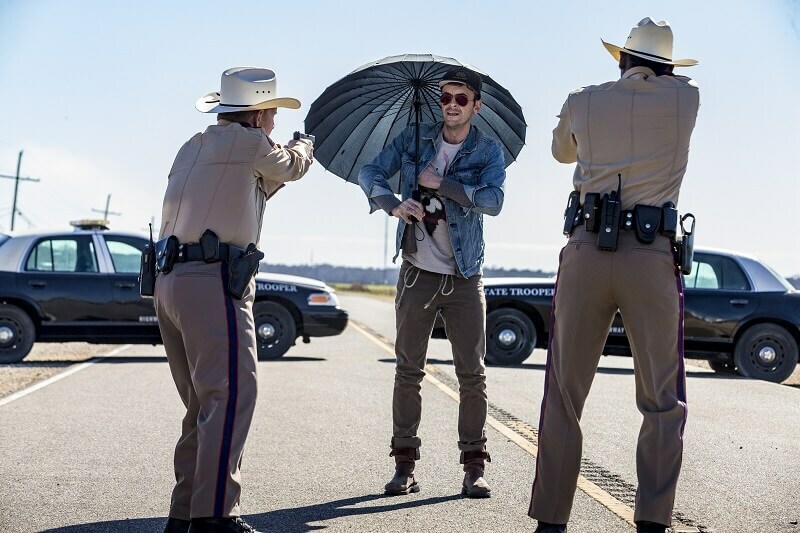 Season one of Preacher, which basically acted as a prequel to the comics story, first aired on May 22nd in 2016 and had an initial run of 10 episodes. In season one, a small town Preacher named Jesse Custer becomes infused with an unknown entity called Genesis. After a series of crazy twists turns and action scenes Jesse, his badass girlfriend Tulip, and vampire best mate Cassidy set off to find God(who has left heaven). Unfortunately for them, the Angels Fiore and Deblanc who were responsible for the accidental release of Genesis, have released the Saint of Killers from hell to pursue Jesse. Violence, and comedy, and drama, and absurdity. It’s a pretty unique stew. Hopefully, people will recognize all the elements of what makes Preacher, Preacher in that first 10 minutes. It’s just bigger. Be sure to check out the “Look Ahead” trailer below for a further in-depth look at the upcoming season. Are you excited for season two? Do you have any predictions for what may happen in the opening episode? Be sure to let us know in the comments below and check back for our premiere review this Sunday. Stellaris Development Diary #28: Project Lead Speaketh!